Once upon a time, a 15-year-old girl dreamed of becoming a Hollywood casting director for blockbuster films. Maybe the desire was fueled by the soulful glamour that swirled around her while she danced on Don Cornelius’s Soul Train. Whatever alchemy that might have occurred while she was grooving down the legendary Soul Train dance line, the little sister grew up to become shero Robi Reed, who now serves as BET’s VP of talent and casting for original programming. Her ability to find diamonds in the rough has never been more evident than in the cast she assembled for American Soul, the new series on BET that depicts the untold rise of Soul Train and the fight that the late Don Cornelius, who created and owned the iconic music and dance program, had to deal with to make his dreams a reality. Make no mistake, Reed is an artist, and casting is an art form. The veteran has more than 30 years of experience, having started her career working for Spike Lee. To date she has over 50 movies and television shows under her belt. She helped build Black cinema and, in turn, helped jump-start the careers of a slew of actors, including Halle Berry, Samuel L. Jackson, Denzel Washington, Jada Pinkett Smith, Queen Latifah and Jamie Foxx, to name a few. In 1997 Reed earned an Emmy Award for Outstanding Casting in a Drama for her work on HBO’s The Tuskegee Airmen. She received a second Emmy nomination in 1998 for her work in casting HBO’s Don King: Only in America and a third nomination in 1999 for HBO’s A Lesson Before Dying. Reed spoke to ESSENCE about dancing on Soul Train, casting BET’s American Soul and being a member of Spike Lee’s A team. 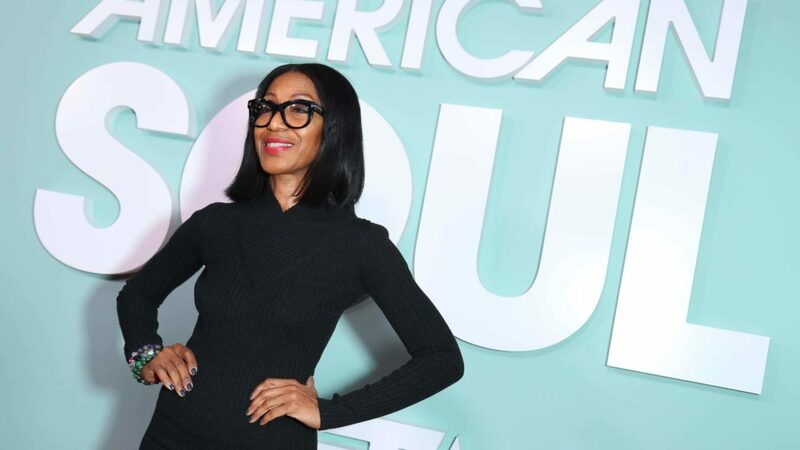 In casting BET’s American Soul you offered the production team some insight into what it was really like to be a dancer on Don Cornelius’s Soul Train. Take us back there. I was a Soul Train dancer in my teens. I grew up in L.A., and a group of us auditioned and they liked us a lot. We were all very young. I think the legal age to appear on the show was 16 and I was not quite that age. So they made an exception for us to be on the show, but we had to have a chaperone and that was my dad, who accompanied us to every taping. As a teenager you had a brilliant vantage point witnessing television history. What do you remember? Soul Train is a big part of my childhood memory, for sure. I danced for four years. We taped multiple shows during the weekend. I was there all day Saturday and Sunday, and I frequently danced on the platform and down the legendary Soul Train line. At one point Don Cornelius had told me before he passed that I could go over to the vault and search for my footage, but it never happened. How did you eventually provide your footage to the American Soul staff for research? Funny story—BET did a marathon of Soul Train shows, and I figured that at some point an episode or two would show up. So I watched and I recall looking up at my TV and there I was…just about to come down the Soul Train line. I remember that day so vividly. I was in the ninth or tenth grade, and I remember the outfit because it was one of my favorites. It was one of the few times we were allowed to wear jeans. They had a strict dress code. We always had to dress up and have our hair done because the program was sponsored by Johnson & Johnson hair products. So I was wearing my jeans and platform shoes, and my hair was done up with curls. And I was wearing a shirt with rhinestones that spelled Stuff. The other Soul Train dancers were encouraging me, calling out “All right, Stuff!” and “Come on, Stuff.” So when I saw myself on television, I recorded it on my cell phone and forwarded that to the American Soul team, and the costume designer paid homage to my outfit by dressing one of the lead dancers, Flo, like me. It warmed my heart. How do you feel about being a part of television history and helping to bring that story to life in casting American Soul? Life imitates art and vice versa. Working on BET’s American Soul means so much to me. Obviously because Soul Train was a part of my childhood. And to be able to give my creative input and share whatever knowledge I could bring to the new show is wonderful. How often does that happen in real life? I am grateful. What was it like working with Oscar-nominated director Spike Lee at the beginning of his film career? You are a part of Black cinema history. I am so thankful for those early days with Spike and the whole spirit that went into making those movies. He had a tagline that was taken from the great Malcolm X, which was “by any means necessary,” and that was our perspective. Any one of us. We knew that whatever it took to get it done, we were going to do. That was our attitude. And I think that’s what helped to propel us. Spike called us the A team, which consisted of Ruth E. Carter, the costume designer; me, in casting; Wynn Thomas, the production designer; Ernest Dickerson, the cinematographer; Monty Ross, the coproducer; and Barry Alexander Brown, who still edits with him. What’s your thoughts on Oscar nominee Ruth E. Carter for her work in Black Panther? I’ve known Ruthie since freshman orientation at Hampton University. Her work is on a whole other level. For Black Panther, she created 1,600 costumes by scratch. She’s a visual artist, and her sketches are pure art; they can be framed and displayed in art galleries. That’s the quality of her work. Not a lot of people know that. 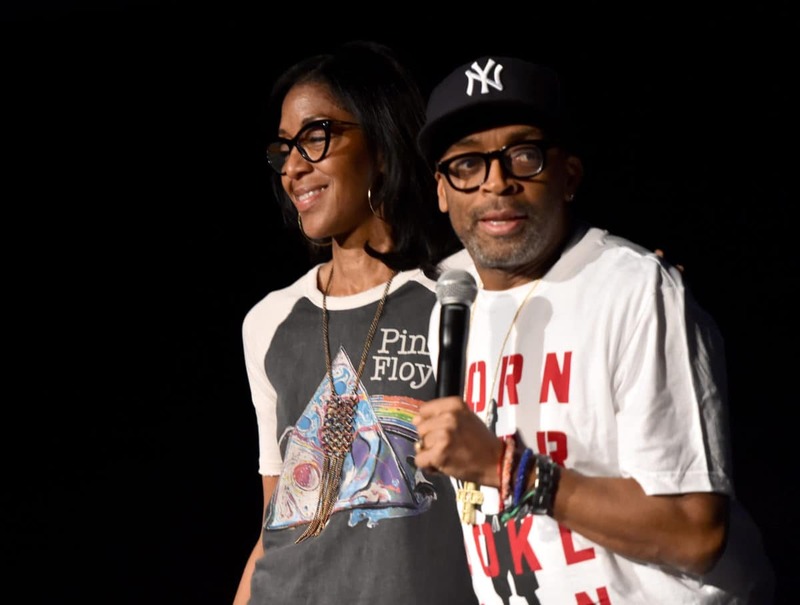 How do you feel about Spike Lee’s Oscar nomination? I was on the phone with him that morning the nominations were actually happening. I could not be happier. Obviously, he deserved it. The Honorary Oscar [in 2015] was great, but this nomination is for the work he did on BlacKkKlansman, and given the climate of where we are in the country, it speaks volumes. It’s really an exciting time and I’m excited about where he is in his career and that he’s still this force. He always uses his platform as a way to speak to certain things that are important. I hope that it works out for him because it’s not just a win for Spike, it’s a win for all of us. Last night American Soul debuted globally across BET International’s linear channels in the U.K., France, South Africa and South Korea. To learn more about Robi Reed, go to Reed for Hope Foundation at reedforhope.org.